Rebel Edge Assassin Skull Stiletto Folding Knife | BUDK.com - Knives & Swords At The Lowest Prices! 3 or more only $4.97 each! Feel the heat generated from this hot new stiletto. 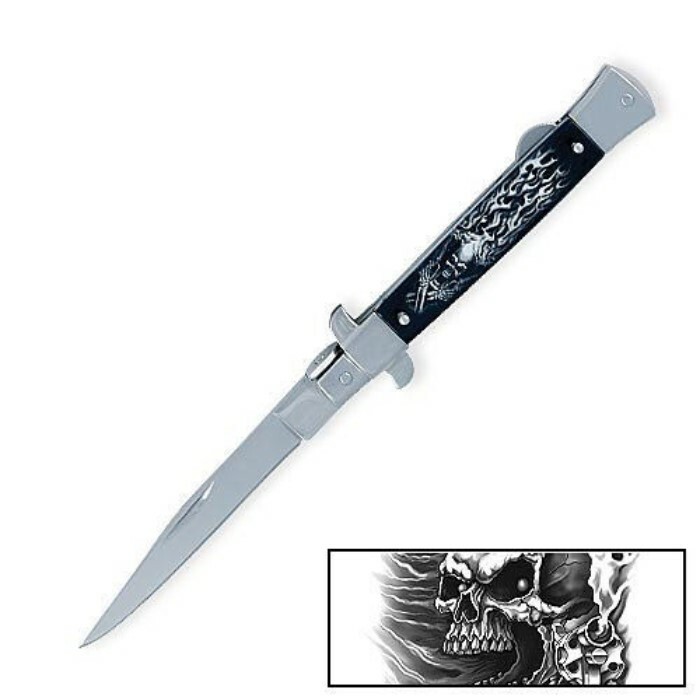 This classic stiletto features a 4" stainless steel blade. The custom handle offers full color artwork inserts surrounded by stainless steel guard and pommel. Includes coordinating 5" x 7" poster. 8 7/8" overall.